100% Performance Guarantee- This is the single most important, cost effective modification that can be made to your ride. If you don't feel the difference in the seat, and it does not put a smile on your face after installing, just return it for a refund! With PayPal, you’re protected from checkout to delivery, and back. finally doing justice to my $600 exhaust system!" - Installing a 6Sigma Jet Kit in your carb is the best way to get the maximum performance and longest life out of your ride. 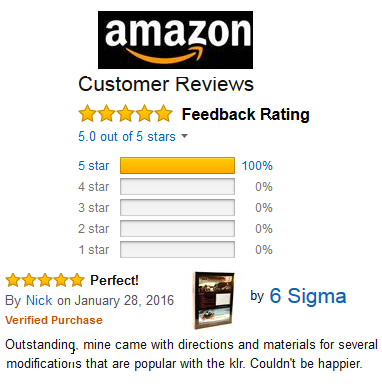 - 6Sigma Jet Kits are the only custom engineered jet kits produced. Each individual design is based on your year, model, altitude and modifications. 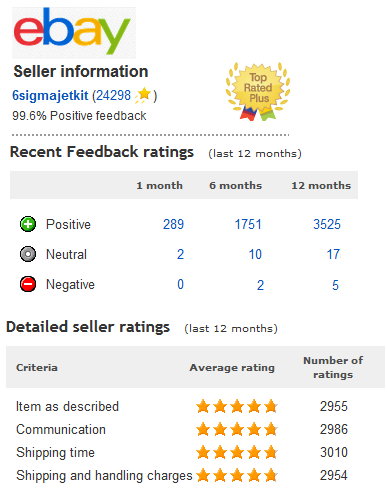 What does a 6Sigma Jet Kit do? The stock carburetor from the factory is designed to meet Import Regulations ... not peak performance. Once you install or modify an exhaust or intake, you have put your bike into a leaner condition that will eventually destroy your engine due to excessive heat and detonation from running lean. If you notice any exhaust popping, you are extremely lean. Our 6Sigma jet kits provide the parts and installation instructions needed to enrich all the circuits in the carb, to fix the problem, save your engine, and add performance you can feel in the seat. This is a comprehensive jet kit, addressing all throttle positions, throttle response, and each kit is custom made to your bike and its modifications. Replacing just the jets does not address 1/4-3/4 throttle, or throttle response, only full throttle. This Kit is for all throttle positions, and throttle response. 6Sigma Jet Kits uses an engineering methodology that utilizes data and statistical analysis to measure and improve operational performance. 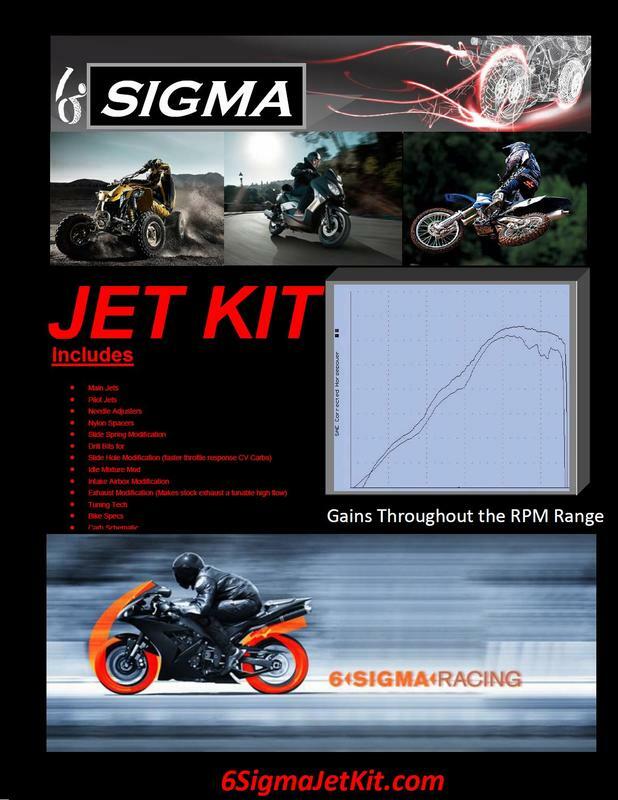 Get a 6Sigma Jet Kit for your Street Bike, Dirt Bike, ATV, UTV, Buggy, Scooter, or ATC. We make kits for Street, Dirt, ATV, UTV, Buggy, Scooter, and ATCs. Designed to gain about 8%-10% in HP with intake and exhaust, 2-3% on bone stock. The jet kit is a performance upgrade that not only increases power, but allows the engine to run cooler which increases engine component life. Designed to improve all RPM ranges of performance and throttle response. If you have installed an aftermarket, or modified the stock exhaust or intake, this is needed or you will damage your engine. Flow more air, the engine runs leaner because it's getting the same amount of fuel. Running lean causes detonation and hotter EGT's which ruin exhaust valves and destroy engines. Carb Synchronizer Tool (how to build one for $5) Instructions. Saves you more than the cost of the Jet Kit. Step by step instructions customized to your vehicle's Carburetor.